Dr. Mohsen Dehnavi, who holds a visiting work visa and is linked with Boston Children’s Hospital (above), was not allowed into the country. An Iranian cancer researcher traveling to Massachusetts to work at Boston Children’s Hospital was detained Tuesday at Logan International Airport along with his wife and children for several hours before being sent back. The detention of Dr. Mohsen Dehnavi, who holds a visiting work visa, comes two weeks after the Supreme Court ruled that the Trump administration could partially enforce an executive order banning people from six Muslim-majority countries, including Iran, from entering the United States. But US Customs and Border Protection said that the detention and return were unrelated to the order. “This individual was deemed inadmissible to the US based on information discovered during the [customs] inspection for reasons unrelated to the Executive Order,” the agency said in a prepared statement. “In order to demonstrate that they are admissible, the applicant must overcome ALL grounds of inadmissibility including health-related grounds, criminality, security reasons, public charge, labor certification, illegal entrants and immigration violations, documentation requirements, and miscellaneous grounds,” the agency said. “As is customary with individuals denied entry to the US, they will depart on the next scheduled flight,” the statement read. 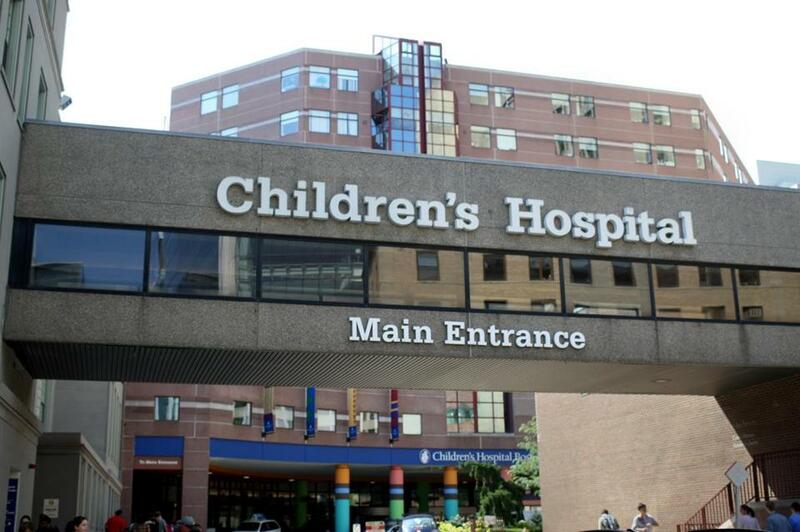 Boston Children’s said in a statement Tuesday that Dehnavi “is a visiting research scholar on a J-1 visa coming to Boston Children’s with his wife and three children.” The hospital said it had “limited information” about the circumstances of Dehnavi’s detention. In the same statement, Children’s also held out hope that Dehnavi and his family would be allowed to stay. 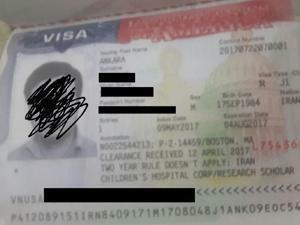 Stephanie Malin, a spokeswoman for Customs and Border Patrol confirmed Dehnavi and his family were put on a return flight around 9 p.m.
A photo of Mohsen Dehnavi's visa. told STAT, a publication owned by Boston Globe Media Partners, that airport officials told him that the family would need to complete additional paperwork in Iran. “I don’t really know what the source of the problem is,” said Rashidian, who told STAT he was supposed to pick the family up from the airport on Monday afternoon. Officials with Attorney General Maura Healey’s office said they were in touch with Massport, the agency that runs Logan, and Boston Children’s. Felice Freyer, Danny McDonald, and Travis Andersen of the Globe staff contributed to this report. Mark Arsenault can be reached at mark.arsenault@globe.com. Follow him on Twitter @bostonglobemark.